The Asian dried their vegetables a lot around the end of summer/beginning of autumn--when the hours of sunshine are still long enough and air mostly cold and dry. The dried vegetables will then be stored for consumption during the months when fresh vegetables are not readily available. 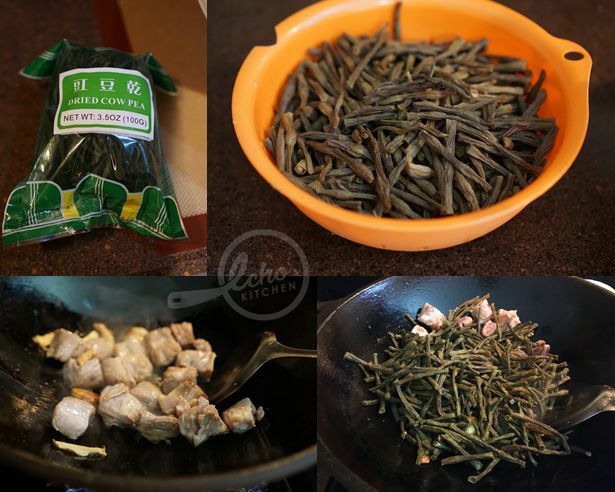 Dried Yard-long bean is one of the kind, drying the vegetables intensified the flavor of the vegetable and gives a completely different texture to it, which makes it very suitable for braising. 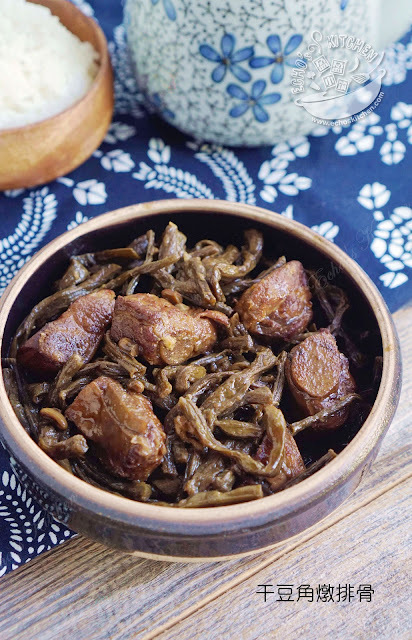 Dried Yard-long bean is especially good when braised with pork/ribs. 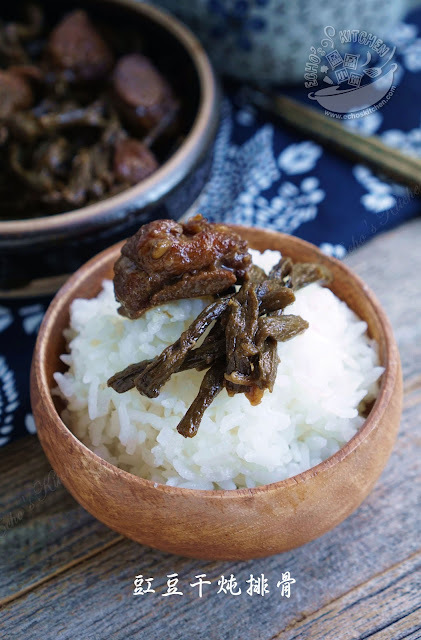 This dish is so good that I ended up having another bowl of rice with it! 1. Soak the dried Yard-long bean overnight and wash it multiple times under running cold water before cutting it into 2 inches long. 2. Blanch pork ribs and clean under cold running water to wash away impurities. 3. Heat up a wok with 2 tbsp of oil, add sliced ginger, garlic and star anise and stir fry until fragrant. 4. Add the ribs and stir fry until it is slightly browned, add sugar and cook until sugar dissolved. tbsp of Chinese cooking wine or enough water to just submerging the ingredients. Add dark and light soy sauce and bring to boil. 6. Cook the bean and ribs for at least 30 minutes on low heat until the gravy thickened and ribs softened. Add a dash of pepper powder before serving.